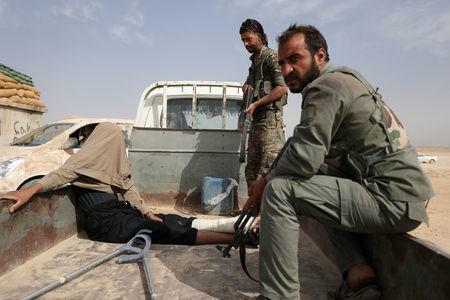 QAMISHLI, Syria (Reuters) - The U.S.-backed Syrian Democratic Forces (SDF) began an assault against the final Islamic State enclave in eastern Syria on Saturday, aiming to wipe out the last vestige of the jihadist group's "caliphate" in the SDF's area of operations. Islamic State redrew the map of the Middle East in 2014 when it declared a caliphate across large areas of Syria and Iraq. But the group steadily lost ground and its two main prizes - the Syrian city of Raqqa and Iraq's Mosul - fell in 2017.